Wow... what a response to the blog candy! Just wanted to update y'all that we will make the draw on Friday, March 2! Best of luck to all of you! Lots of you mentioned Stamping Bella in your wish list so I just had to share the news that we will be placing a wholesale order with them shortly and carrying these pretties in the store! If you already have some of these, I'd love to hear what your first one was, it can be hard to narrow down the choices when we place our orders :) If you've never seen or heard of them before, check em out HERE! They're unmounted, they're Canadian and they're adorable-- I can't wait to play with some! My first order of bella's was Imeldabella, Cosmobella & Pregabella. I had to order the Pregabella because my niece is expecting her 3rd child in May and I so wanted to send her a special card. Even though these stamps aren't normally my taste, I have had a blast making cards. 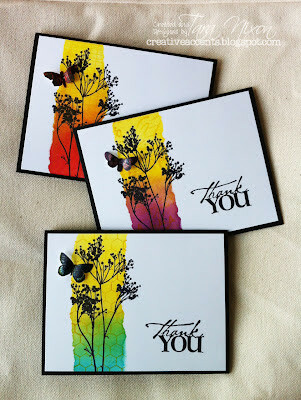 I even borrowed images from my friend who had Walkabella & Flowahbella and made cards with those too. lol You could say I'm addicted. lol Emily (owner of Stamping Bella) has such nice stamps and is constantly creating new bella's all the time.